If you’re a family physician who manages your own private practice, then you are well aware of the challenges that come with being a business owner. You’re the judge, jury and executioner when it comes to laying the ground rules for how you want your practice to operate. But if you’ve recently acquired your own independent practice, there are a few things you need know – namely how you can protect your practice from various risks. From day one of opening your practice, you expose yourself to certain liabilities, which is why it’s important to have the right types of insurance in place. One lawsuit or catastrophic event could be enough to wipe out a small business before it even has a chance to get off the ground. In this post, we’re reviewing the types of protection an independent family physician practice needs in order to protect everything you and your staff have worked so hard to achieve. Professional liability insurance, or malpractice insurance, protects your practice in the unfortunate event that you are sued by a patient who claims negligence or that you failed to perform your job properly, resulting in harm. While there is no one-size-fits-all policy, professional liability coverage helps cover the costs of legal defense and settlements, which can run into the hundreds of thousands of dollars. Since many small physician practices won’t have the resources to cover expensive claims, malpractice insurance is a must. When you first opened your practice, you probably invested a lot of time and money in getting the right equipment, medical supplies, furniture and other necessary fixtures to make your business inviting to patients. However, if there was a natural disaster, how would you replace these items? That’s where property insurance comes in. It protects the property you use in case it becomes lost or damaged due to common issues such as fire or theft. Property insurance covers both the physical building of your practice and personal property that is vital to the operation of your business (office furnishings, inventory, computers, etc.). Whether you own or lease your space, property insurance should not be neglected. 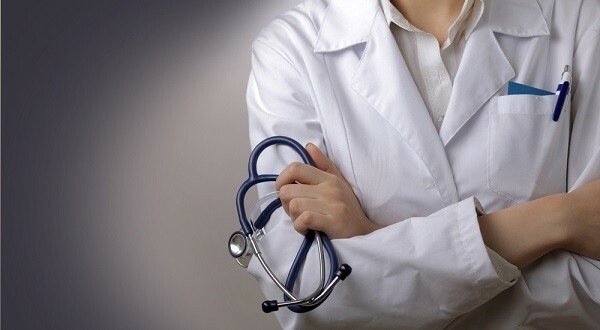 Some physicians who are on their own have the flexibility to make house calls. This is especially common for concierge doctors who often drive to a patient’s home. If you use your own car for business purposes, you may want to consider business or commercial vehicle insurance. Most personal auto insurance policies won’t cover damages to cars involved in an accident used mainly for business purposes. A business auto policy covers cars owned by a business. This insurance pays any costs resulting from bodily injury or property damage for which your business is legally liable. Depending on your coverage, your policy may pay for repairs or replace your vehicle due to damage from accidents, theft, and/or other events. As a business owner, you probably hired a few hard-working, dedicated employees. If any one of them were to become seriously injured, how would you be able to run your practice? In all states (with the exception of Texas) an employer must have workers compensation insurance, depending on the number of hired employees. This insurance pays for medical care and replaces a portion of lost wages for an employee who is injured during the course of employment, regardless of who was at fault. Even if your employees perform low-risk or low-impact work, slip-and-falls or other medical conditions such as carpal tunnel syndrome could result in expensive claims. If a worker dies as a result of their injuries, the insurance then compensates the employee’s family. This is definitely a type of insurance you don’t want to overlook, especially for the livelihood of your staff members. Depending on where you practice, your business may be more prone to natural disasters such as earthquakes, hurricanes or tornadoes. If a disaster or catastrophic event occurs, it is likely that your business’s operations will be interrupted. To help your practice get back up and running, consider a business interruption insurance policy. This coverage is different from property insurance in that it covers incomes lost due to a disaster-related closing of a business or due to the need for structural rebuilding of the practice. However, BII can also be combined with a property insurance policy – this package is known as a Business Owner’s Policy. While it may not seem directly related to your practice, life insurance is another form of financial protection that is often left on the backburner. If you were to pass away, who would provide for your loved ones’ future? Who would treat your patients? Life insurance offers a death benefit to your appointed beneficiaries in the event that you can no longer financially provide for them. This type of insurance is very important because it allows peace of mind for you, your family, and your business partners. Life insurance is a great way to unburden your loved ones due to the loss of your income. If you need assistance protecting your family’s financial future, the AAFP Insurance Program is here to help. If you were unable to practice medicine due to an injury or illness, you’d probably consider Individual Disability Insurance. While this is a form of protection you should certainly have in your back pocket, think about your practice. If you’re out of the office, who will see your patients? Practice overhead insurance steps in if you are temporarily out of the office due to a disability. It helps cover certain expenses such as utility bills, rent, salaries, taxes and other office costs. Don’t risk losing your income or control of your practice due to an injury. By having the right types of insurance in place, your medical practice can avoid a major financial loss due to lawsuits or catastrophic events. Check with the AAPF Insurance Program to find out which forms of insurance are available to you and your business, and put those plans into place as soon as possible.